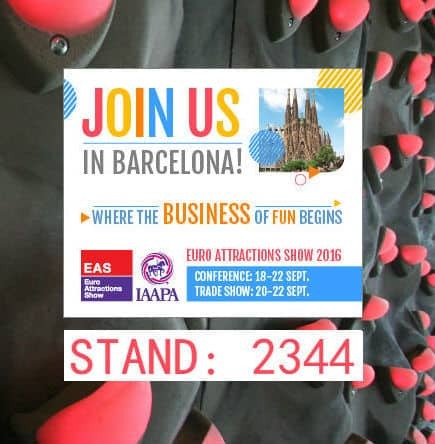 This September the annual Euro Attractions Show (EAS) will take place in Barcelona, Spain. From September 18 – 22, 425+ exhibitors from all over the world will be showcasing their newest and greatest products at one of Europe’s largest and contemporary venue, the Fira Barcelona Gran Via Convention centre. The show will also host 15+ education conferences and discussions from some of the attractions industries most experienced figures. Innovative Leisure will amongst the exhibitors, find us on Stand 2344, where we will be happy to discuss your future adventure attraction plans. It’s not too late to register to attend EAS 2016 and can be done by following this link.